Looking for a rainy day activity to do with your kids or a fun outing with your girlfriends? Look no further! Located behind the Destin Target, The Red Bird Art Experience, is a uniquely enjoyable activity for people of all ages. I recently had the opportunity to meet Robin Cannon, owner of the Redbird Art Experience, and make a really fun piece of art. From the moment I walked in, I was welcomed with open arms and had an absolute blast! Keep reading for more on this awesome art studio! As soon as you enter Redbird, you can expect to be met with a unique and creative atmosphere. Aside from the displays of broken glass, odds and ends, and finished art pieces, the first thing that caught my eye was the vintage sofa in the middle of the studio. Everything about the studio was laid out and decorated in such a creative way. You can expect Robin to give you space for creativity, but she is also wonderful at helping with ideas if you need it. After you create your piece of art, you’ll leave it overnight for her to pour the resin, and you can pick it up the next day! Robin Cannon is the owner of The Redbird Art Experience. 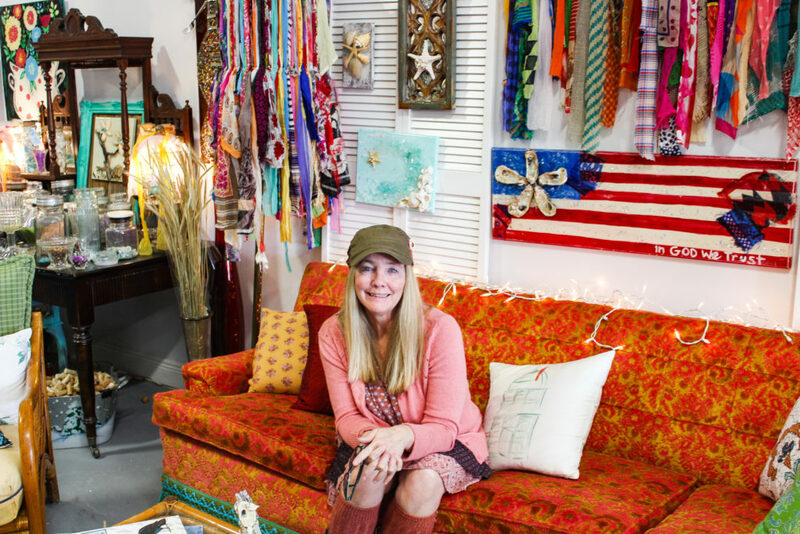 She has an extensive history in art, creating beautiful pieces of art, and participating in local art shows. In February of 2017, she decided to start a business of her own. Redbird originally opened at another location before moving to the plaza behind the Destin Target in May of 2018. Now that Robin has the Redbird Art Experience, she not only gets to create her own art, but she gets to help others express their creativity. She was an absolute gem in helping my guest and I have the best experience possible! Hours are 10-4 Monday through Saturday, but if you’d like to set up a party, you can always call ahead of time to see if an arrangement could be made. Group outings, birthday parties, and even Bachelorette parties are available! Just call if you’d like to set something up. 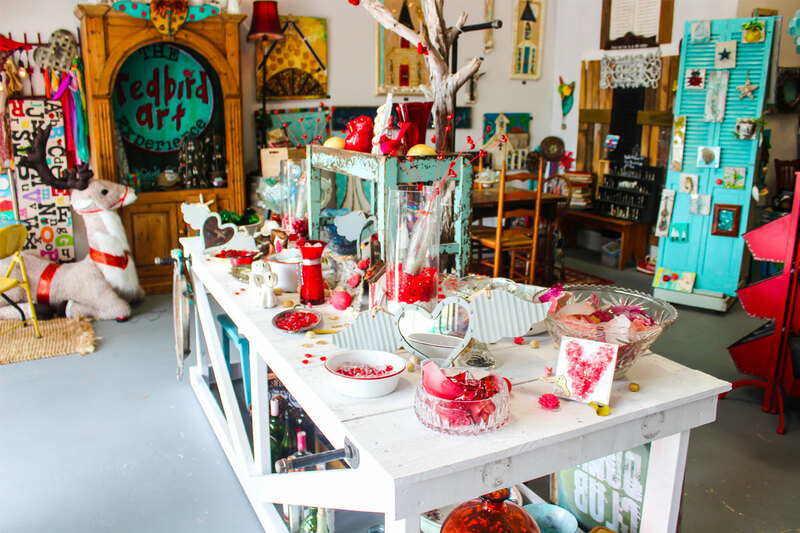 If you’re looking for an uplifting and fun experience in Destin, you should consider checking out Redbird! 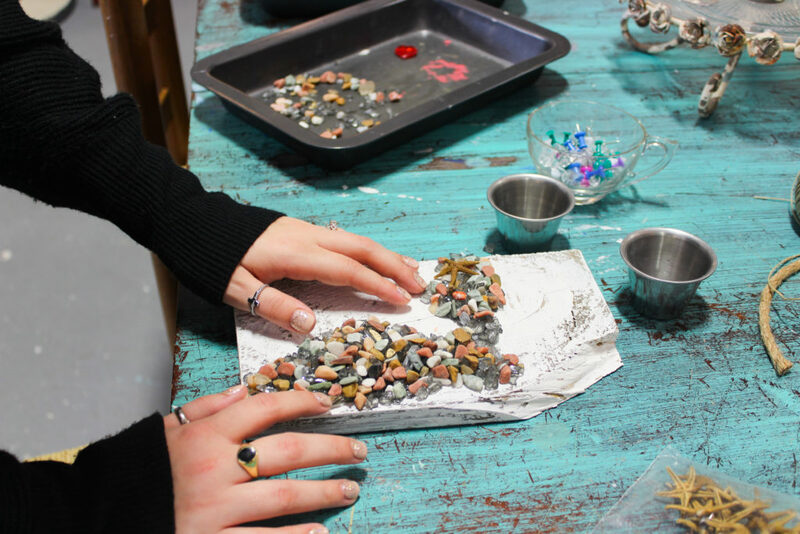 Have you gotten to make art at one of the local studios? If so, which one? Let us know!